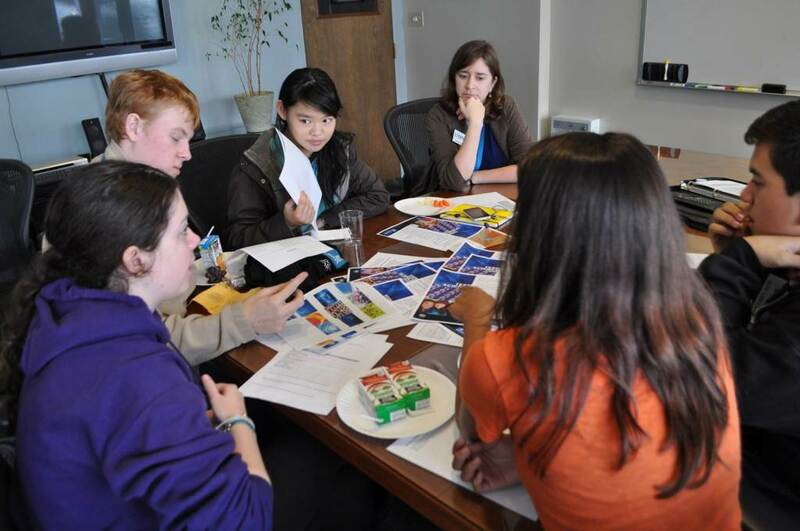 This is the third in a series of posts about the structure of the Teen Science Café at the Pacific Science Center. The author: DeLancey Lane is the Teen Science Cafe Intern at PSC. We have been using our contacts with other youth programs in the Puget Sound area to contact teens about our leadership team and events. These institutions and programs include places such as the Seattle Aquarium and the Woodland Park Zoo. Teens also already have connections to other programs, so we have been able to use those as well. Getting the word out to teens about events can be difficult. Luckily, we have a great leadership team. The members of the LT work hard promoting the events by passing out fliers to teachers and talking to students, as well as posting on social media sites about the cafes. Our intern also created a database of emails that consists of all STEM teachers in the area, school librarians, and teens who have either expressed interest in Pacific Science Center programs in the past, or have attended the cafes before. Some marketing was also handled by one of our venues, a teen center run by the city of Redmond. We partnered with them to host events at their venue and did cross-promotion.